Green tea has long been touted as one of the most effective weight loss beverages. Experts advise you to add this wonder drink to your daily diet and why not? It has numerous health benefits to offer. Green tea, like black tea, is plucked from a shrub known as Camellia Sinensis. It does not undergo any oxidation or withering process, which makes it a healthier than other types of teas. The anti-bacterial, anti-fungal and anti-oxidant properties of green tea address numerous health issues ranging from weight loss and bad breath to high cholesterol. A recent study published online in the FASEB journal suggests that green tea could help alleviate insulin resistance and cognitive impairment induced by high-fat and high-fructose diets. Here are some benefits of drinking green tea that you must consider. Green tea is known for its high content of antioxidants and anti-ageing elements. These antioxidants can help delay signs of ageing such as fine lines, wrinkles and damage caused due to sun exposure. Regular consumption of green tea flushes out unwanted toxins from the body leaving you with healthy and supple skin. High cholesterol levels can up the risk of cardiovascular diseases. Green tea contains catechins that are known to reduce low density lipoprotein (LDL) or bad cholesterol in the body that is responsible for causing plaque in the arteries, leading to blockages which can affect the flow of blood. Green tea contains compounds like flavonoids and polyphenols that help boost your immunity system. These phytoconstituents act as antimicrobial agents that help the body fight against various infections. Antioxidants in green tea help strengthen and protect the immune system against free radicals that are known to destroy living cells and tissues. Stress is not an uncommon condition these days considering our hectic lifestyles. Polyphenols in green tea help reduce stress, boost energy and improve mental focus. 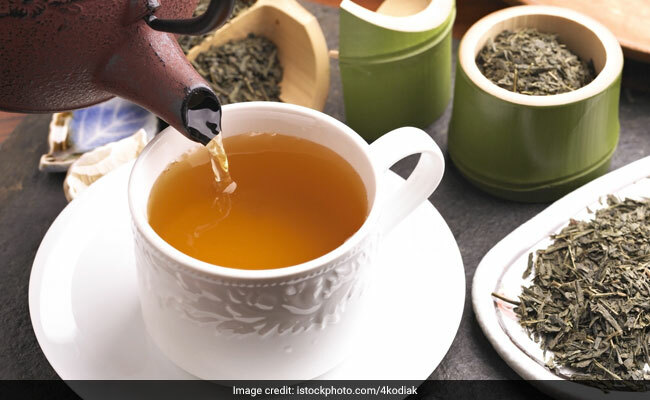 The various antioxidants in green tea have a calming effect on the mind and body, which helps in uplifting your mood. Detoxing one's body helps improve metabolism. Green tea refreshes, hydrates, and cleanses the body of unhealthy toxins. The catechins in green tea improve the fat metabolism and reduce toxic effects on the liver.